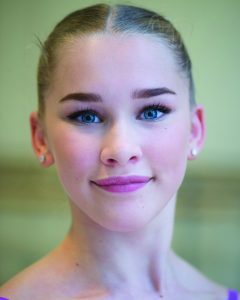 A TEENAGE ballerina from West End is completing her first year at the prestigious Central School of Ballet. Erin King, 17, danced her way in to the London-based school after being selected from 400 applicants. She was one of only 36 pupils to secure a place on the three-year degree course, which covers professional dance training.